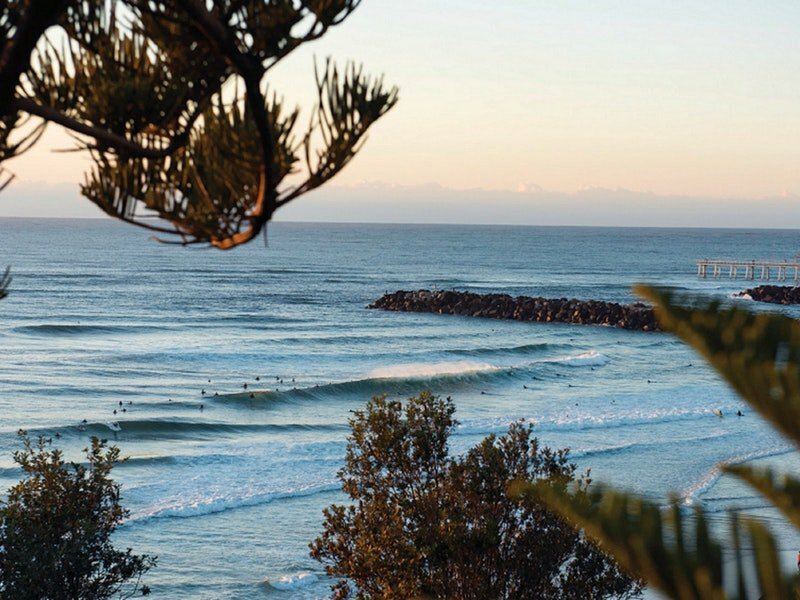 Here on the Gold Coast we’re fortunate enough to boast a seriously stunning backyard. From our beautiful coastline to our gorgeous hinterland, we really do get the best of everything here, which is why you’ll find us constantly seeking out epic spots to set up shop for a picnic. Here are six of the Southern Gold Coast’s best picnic spots to get you dining among the great outdoors. Undeniably the greatest picnic spot on the Gold Coast. The sweeping views from Burleigh Beach up to the big smoke and the “always Sunday” mood make it well worth it and a superb people watching spot! Rock pools, fresh mountain air, and no WiFi, the Currumbin Rock Pools have been putting smiles on summer faces since before we could Facebook about it – stunning! If you don’t mind having your picnic on the sand then The Alley at Currumbin Beach is a firm family favourite. It’s where the Currumbin Creek meets the Ocean, is a little more sheltered from the elements if the beaches are windy and you get the choice of Ocean or Creek for a dip – winning all round! “Dee-bah”, as it’s affectionately known locally, is the most northerly beach in NSW; walk a few metres up onto the headland here on a summer’s day and you’ll find yourself in Queensland and in a different time-zone! Drop into D-bah cafe for a coffee and kick back and enjoy the magic of D’bah Hill. If you are looking to appreciate the colours of day turning to night then Rainbow Bay Lookout is without a doubt the place you’ll want to set up camp for the afternoon! 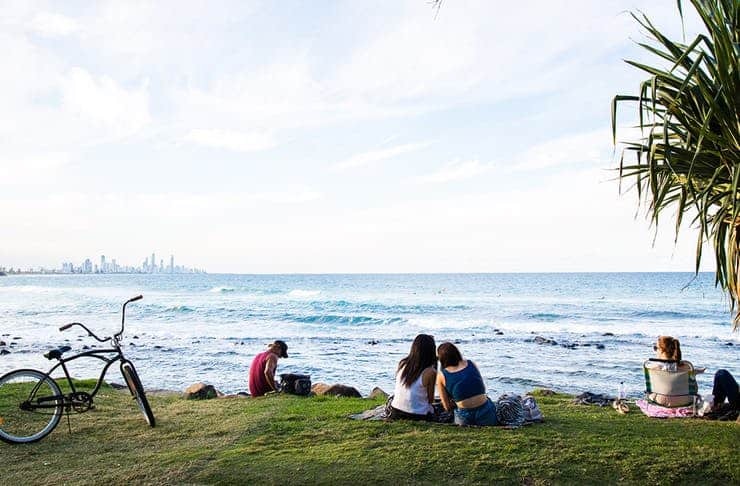 Kirra Beach is a beautiful spot for afternoon of picnicing and swimming and is another amazing spot to witness the spectacular colours of day turning to night! Get out and enjoy these stunning spots while the weather is still warm!